Beginner Tai Chi Classes Enrolling Now! At Iron Bridge Martial Arts Academy, you'll experience a gentle flow of movement that will harmonize your mind and body. A low-impact combination of moving yoga and meditation, Tai Chi focuses on combining specific breathing techniques with graceful, flowing poses at the same time. Through these coordinated movements, you'll become more aware of your body as you build strength and stability. With each new Tai Chi workout at Iron Bridge Martial Arts, you'll enjoy a feeling of peace and relaxation. When you practice the graceful martial art of Tai Chi at Iron Bridge, you'll experience a host of improvements both physically and mentally. Get Started Today In Covington! Learn More About Our Program and Get 2 Free Weeks! 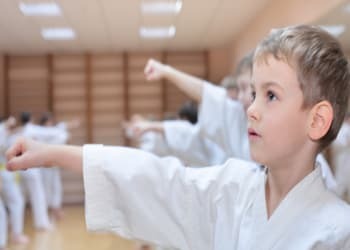 Kids Martial Arts in Covington teaches discipline & self confidence ! The new School is wonderful the large class rooms are great. Looking for a long time to find a traditional school with the will to teach. The training at this school is second to none. My children love the classes and all the attention. Love it! I had participated in boxing and kickboxing for over 10 years prior to coming to Iron Bridge. 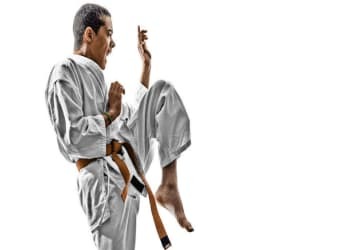 I have also observed many years of Taekwondo, as my son progressed through his ranks. Unlike either of these prior experiences, Sifu Marshall and those at Iron Bridge, actually train students to fight. The forms are taught with purpose and intent, not simply memorized for the sake of belts or sashes. There is also focus on the internal aspects of Kung Fu, physical conditioning, breath, mental and physical relaxation. What I did not expect is the comradery of those enrolled in the school. It is a great group of students with varying levels of experience and skill, each willing to help the others. We often find ourselves staying after class and socializing, and even sometimes attending non-school activities together. I'm learning a lot, look forward to class every day, and am seeing myself progress week by week. I studied Kung Fu under Andrew Marshall at Iron Bridge Martial Arts almost 30 years ago as a kid. I was thrilled to find out that he was teaching again right here in Mandeville. In the few months I have been back with them I have thoroughly enjoyed the classes, exercise, and community. I find that both my body and mood have benefited greatly from the classes. Do yourself a favor and check out a class or two, you won't be disappointed!